It’s well documented how prevalent suicide is in Japanese Society. According to a 2017 article in The Japan Times, the suicide rate in Japan is the world’s sixth highest and the second worst among eight major industrialized nations, behind only Russia. How has the subject of Japanese suicide been expressed through the arts both inside and outside of Japan? In this Japan Society lecture, Dr. Kirsten Cather, who is currently writing a book entitled Scripting Suicide in Modern Japan, opens the program talking about the representation of suicide in Japanese culture, from famed suicide spots of old to Aokigahara Forest today. A dense forest also known as Jukai, or “sea of trees,” Aokigahara is located in Yamanashi Prefecture near Mt. Fuji. The beautiful setting is the unfortunate home to roughly 100 suicides a year and is considered one of the most popular places for suicide deaths in the world. (The Golden Gate Bridge in San Francisco and the Nanjing Yangtze River Bridge in China are other notorious spots where people take their own lives.) Aokigahara is also where tragic lovers committed suicide together in the 1960 novel Kuroi Jukai by Japanese crime writer Seicho Matsumoto, strangely adding a bit of romance to the location. Award-winning Taiwanese-Japanese-American playwright Kristine Haruna Lee joins Dr. Cather in the second half of the evening to discuss the influences behind her latest play Suicide Forest. 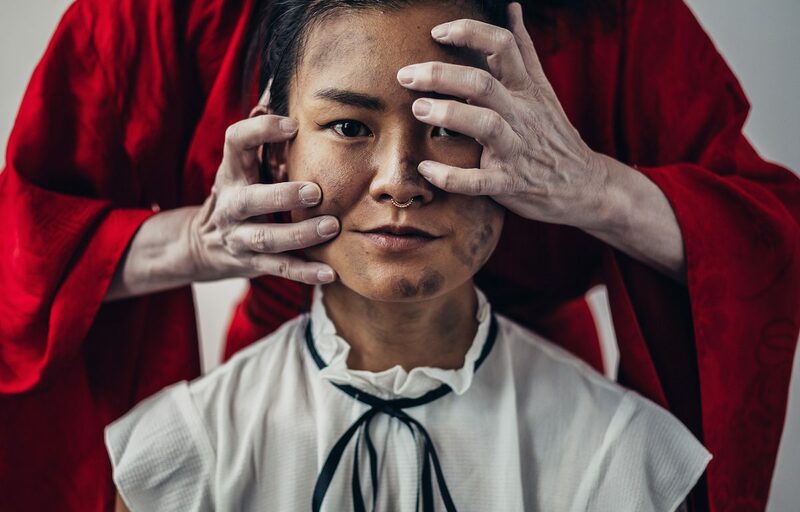 The bilingual nightmare work is set to premiere in February 2019 at The Bushwick Starr in collaboration with Ma-Yi Theater Company. For more information and to purchase tickets to the lecture, please visit Japan Society’s website or call the box office at 212-715-1258.